Although our circulation is smaller than some of the magazines on the market we promise that your advert will reach 20x that of the largest circulation magazine! How?.... We publish your advert on our 5 dedicated Facebook pages, our 3 Twitter accounts and 2 Instagram accounts. NO OTHER MAGAZINE DOES THIS!! ALL THE MAGS publish your advert in the magazine, we all have Apps ( Digi Mags ) ours is read in over 40 countries, all the mags offer review space, catch reports, competitions and subscription offers. BUT BIG CARP IS THE ONLY MAG TO PUT YOUR ADVERT ON THE SOCIAL NETWORKS !!! and that's where the big numbers of customers are. It's never been more important to get your advert on the Social Networks. Carp Talk, Carpology etc etc may all say they have more magazines but its the same people buying them every week or month, more or less. So your advert only reaches 10,000 people maximum. Put it in Big Carp and it will reach over 200,000....... Their readership is miniscule compared to the number of people on the social networks....FACT!! Take a look at the advertising Media Pack 2017 for reasonably priced advertising, discounts and offers including full pages for only £100 ! !.....what have you got to lose?. 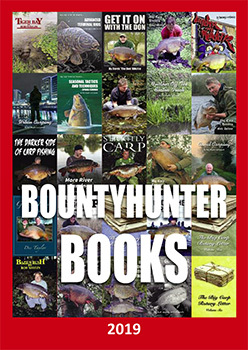 Take a look also at our Books Media Pack, Bountyhunter is the world's largest publisher of carp books and magazines with over 65 titles available and supplying over 2,000 tackle shops in 12 countries. For more information call Rob Maylin on 01252 373658 and talk to Rob or his wife Flo....we will be happy to advise you. 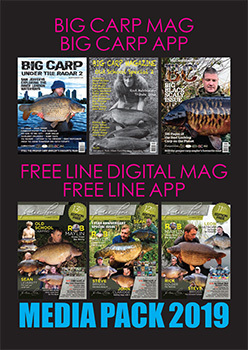 2019 Big Carp Media Pack. 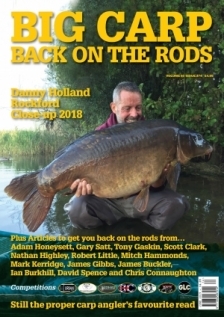 2019 Big Carp Books Media Pack.